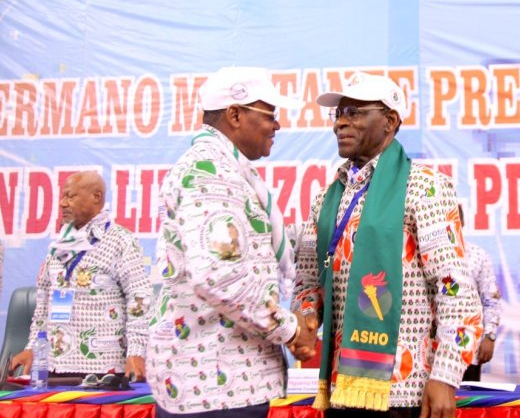 Equatorial Guinean President Obiang Nguema Mbasogo spoke at the third National Congress of the Democratic Party of Equatorial Guinea (PDGE) in Bata this week about the end of his presidency, the direction the party should take moving forward and the success of its leadership so far. Obiang said he recognized that his time in office is not absolute and that, when the day comes when he can no longer serve the people of Equatorial Guinea, the nationi must be are ready with an appropriate structure so that the ideals and PDGE does not disintegrate. 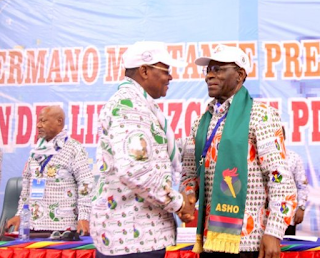 The party decided at the last Congress that Obiang would be its candidate in the upcoming 2016 elections. Obiang also used the address to focus on the great strides the country has made since the last Congress and under the leadership of the PDGE. Acknowledging the country’s turbulent history, Obiang praised the PDGE for its commitment to freedom – of the press, of movement within the country, the national political dialogue, of women. Obiang also highlighted some of the major accomplishments in the last few years under the leadership of the PDGE in infrastructure; investment in education, with the construction of two universities for the first time in the country’s history; housing renovations; the construction of social housing; and new water and light systems. “One cannot make policy without developing the economy, which guarantees the peace and stability of a nation,” said Obiang. Obiang finished his address by emphasizing that a healthy PDGE is critical to ensuring the future of Equatorial Guinea.